It was chilly and more than a little dreary when I awoke this morning. I have been battling feeling a little lonely over the past few weeks. Both kids are away right now, and I have had increased deadlines for projects which need to be met at work. When you added my hubby’s double shifts and most of my best friends working crazy hours into the mix, it has made it harder to feel connected. I am thankful for time this month to worship as I drive into work. As I usually bus, or car pool when I can, being free to sing along has helped me draw closer to His Presence. 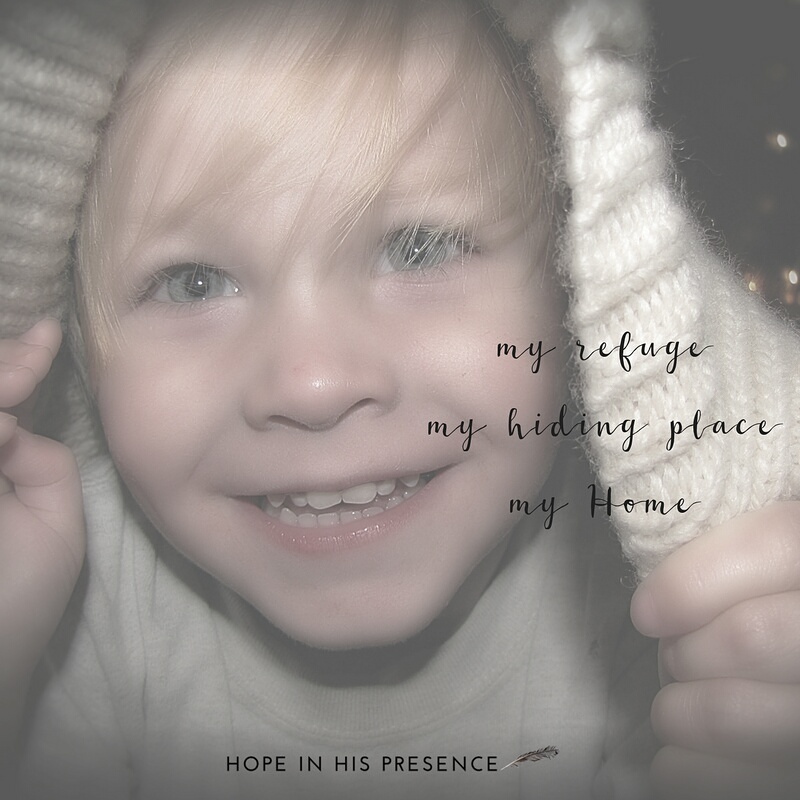 In the Message version, dwelling place is replaced with refuge… and that’s when it hit me. His arms are my refuge and hiding place, but being in His presence is Home. Knowing He is with me now and forever means Home is constant, ever present and the perfect antidote for loneliness. Coz how can you stay lonely when you aren’t ever alone? Home is waiting for you too, friend. Whatever you are battling, God is just waiting to take hold of and go into battle for you. No matter what it is, He wants to protect & guide you, fight for you and overcome it with you in His strength. Our intended place has always been to be by His side. Home to Him is us. Home to us is to be being with Him. Intentionally staying Home more this long weekend. Happy Victoria Day weekend, Canada!